Product prices and availability are accurate as of 2019-02-22 17:33:22 EST and are subject to change. Any price and availability information displayed on http://www.amazon.com/ at the time of purchase will apply to the purchase of this product. 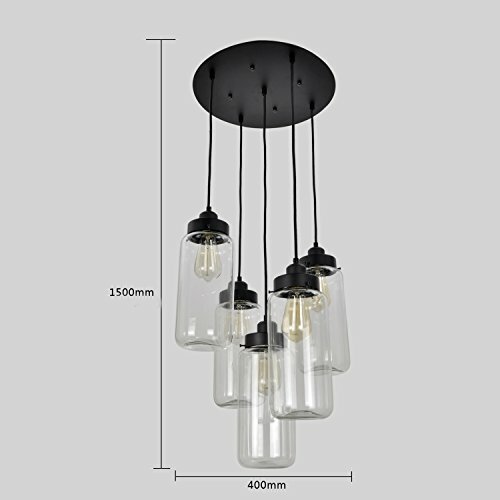 This pendant light is provided by Unitary Home World,we are a professional lighting manufacturer, ensure that provide you the best quality and the most abundant category of lighting products.All products in factory have to undergo a rigorous safety monitoring,you can use them safely. 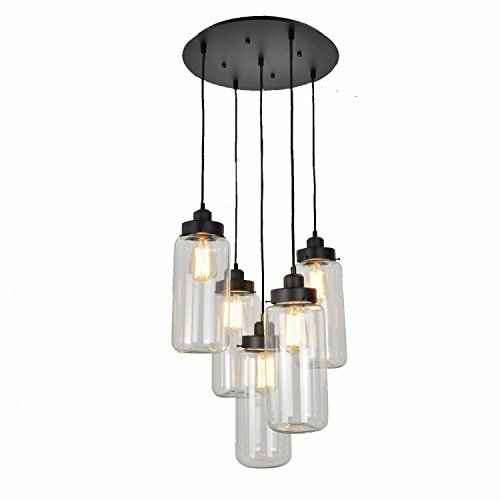 The main part of this pendant light is made of glass, the canopy is made of metal. Height of the pendant light is 38.19 inch, diameter is 19.69 inch, the length of the rope is 31 inch,it can adjust according to your request. 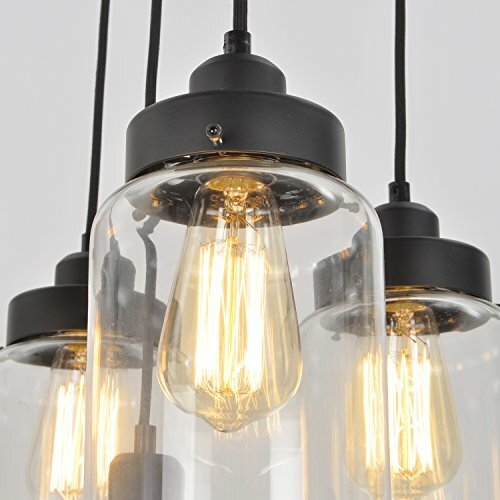 There are 5 E26 bulb sockets total,the maximum compatible wattage of is 60W (bulbs not included),so the largest total power of this pendant light is 5x60W = 300W. 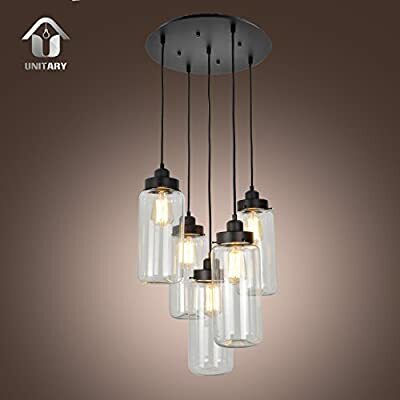 This pendant light is suitable for the bedroom,dining room,kitchen,living room ,foyers,porch,hallway use,but this is just a suggestion, you can according to your actual needs to choose where is installed in. If the pendant light is damaged when you rececive the goods,Don't hesitate to contact us by message,we must reply you within 24 hours.If you have any other problem about the item,you also can email to us, We are willing to service for you.